Canada should recognize that the CCCI-Aecon deal represents a gain for the China model over our free market system, writes Duanjie Chen. We need to better protect the integrity of our economic and political systems. The pending acquisition of Aecon by the Chinese firm CCCC International Holdings Inc (CCCI), at the cost of $1.5-billion, has triggered a nationwide debate in Canada. Aecon is a jewel among Canadian construction and engineering firms, one that built many a Canadian landmark. CCCI, on the other hand, is an investment arm of the notorious China Communication Construction Co. (CCCC) – a state-owned enterprise (SOE) that has built artificial islands in the South China Sea and is therefore on the radar screen of the US Senate. CCCC has also engaged in fraudulent business practices across multiple countries. A good example is its involvement in a “collusive scheme designed to establish bid prices at artificial non-competitive levels and to deprive the borrowers of the benefits of free and open competition.” This led to the CCCC being debarred in early 2009 from any World Bank project for eight years. The debate around the pending CCCI-Aecon deal has centred on the net benefit to Canada and its impact on our national security. China’s ambassador to Canada calls it “a common commercial transaction.” On that, I have to disagree. It is not a win-win deal for Canada. On the contrary, it represents a gain for the so-called “China model” over our free market system – one that will only negatively impact our economic and political systems. As a small open economy, Canada needs to ensure that any foreign acquisition of our domestic businesses is a beneficial one. Foreign acquirers must uphold three basic principles for free trade: property and contract rights, competitive neutrality, and reciprocity. It is well known that all Chinese SOEs violate these principles by following their government’s anti-free-market principles and practices. Canada needs to ensure that any foreign acquisition of our domestic businesses is a beneficial one. CCCI’s acquisition of Aecon is undoubtedly motivated by Beijing’s aspirations for a more dominant global role and backed by its government’s financial power. Clearly, it is a deal CCCI intends to use to help enhance China’s global influence while compromising competitive neutrality within our own construction and engineering firms. This deal therefore cannot be disguised as “merely a case of acquisition between two construction companies.” Instead, it’s a case of boosting China’s state capital to "become stronger, do better, and grow bigger," as stated in President Xi Jinping’s report at the Chinese Communist Party’s 19th National Congress. Every acquisition of a reputable western company by a Chinese SOE is a concrete step taken by China to grow its global SOE empire. It is worth noting that Aecon was, by revenue size (in 2016), number three among construction and civil engineering companies in Canada. It is also the most versatile in Canada, with its business extending to infrastructure, energy, mining, and concessions. Aecon’s breadth of business is unmatched by any individual Chinese SOE operating on a similar scale. Aecon’s 140-year history comes with solid tracking of western technology and management advancements in the construction and engineering industries. As such, Aecon’s competitive edge and business reputation would be used to help conceal and obscure the infamous history of CCCI’s parent company CCCC. Currently, CCCI’s acquisitions of the Australia firm John Holland (2015) and the Houston-based Fried & Goldman (2010) are being used to bolster its image and aid in acquiring Aecon. In the future, if Aecon’s acquisition is approved, it could allow CCCI to acquire bigger and more influential foreign companies. First, is it certain that CCCI’s size and financial strength will be good things for Aecon? Chinese SOEs are notorious for using their government’s favouritism and financial backing to grow into monsters in order to overtake their private-sector rivals, both domestically and globally. CCCI’s size and financial power are integral parts of China’s state capital and should play no role in our domestic competition in any industry. This is especially true with larger and complex construction projects, most of which involve national infrastructure construction. Should it become part of a Chinese SOE, Aecon might want to keep a close eye on its eligibility to bid on large, more complex projects in Canada. Second, is CCCI’s current financial strength readily available for Aecon’s international aspirations? This is a big question because only the Chinese government has the final say in how CCCI will allocate its financial sources. What we can be sure of is that to borrow CCCI financial strength, Aecon’s international pursuits will have to be aligned with those of the SOE, which receives its orders from the Chinese government. Will these be easy orders for Aecon to take? “Benefit Two”: It is claimed that “CCCI will seek out areas in which Aecon could deploy its unique expertise across CCCI’s international network.” Being part of CCCI will definitely afford Aecon a competitive edge against its Canadian peers within CCCI’s international network, but only after CCCI’s Chinese contenders get their first pick. The tricky wording here is “unique expertise”: Within the CCCI network, Aecon would be given business opportunities only in areas where its expertise is not to be found among CCCI’s domestic affiliates. It is well known that once foreign expertise is “learned” by Chinese partners, it turns into a competitive edge for China. There is no need to look very far – simply look into the short history of China’s global expansion in its high-speed railway construction. China’s first high-speed railway was built only around 2005 and had to rely on foreign technologies provided by several multinational corporations (MNCs). Yet all these MNCs have long since lost their competitive edge against China’s state capital, which now dominates the global high-speed railway market. “Benefits Three to Seven”: these putative benefits to Aecon are all about ensuring its continuity in Canada and would be standard clauses in any international merger and acquisitions agreement. Hence, they would not imply any benefits unless Aecon undervalues itself and is prepared to settle for less. In summary, the only visible “benefit” to Aecon would be the 42 percent premium on its last pre-agreement trading price for its shareholders. Nothing else would be certain in Aecon’s future. It’s all too easy to be relatively sanguine on the CCCI-Aecon deal, and to offer the nonchalant response of: “We need capital and they have it, so what’s the matter?” Or, in the words of the Chinese ambassador, “Many cases of Chinese enterprises acquiring Canadian enterprises have proved that it was funding from China that helped Canadian enterprises solve their problems. To some extent, Canada benefits more from such cases.” Really? It is a myth that Canadians are in dire need for foreign direct investment (FDI). According to the OECD, “Canada’s outward investment (equivalent to 80% of GDP in 2016) has grown faster than inward investment in recent years (equivalent to 62% GDP in 2016).” That is, as measured by net outflow on the global scale, Canadians are providers of capital, not beggers! Of course, this is not to say that we do not need inward FDI. But we don’t need to be desperate for Chinese state capital – that’s unjustifiable. We can welcome China’s FDI, so long as it does not lead to any unintended or unchecked consequences that could be inimical to our national interests. The question, then, becomes: what are the potential consequences of any acquisition by Chinese SOEs? As argued above, allowing Chinese SOEs “unfettered” entry into our country would itself be helping the growth of the China model – featuring one-party rule, SOE dominance, and an eclectic approach to free markets – over our model that cherishes free-market capitalism, rule of law, and multi-party democracy. 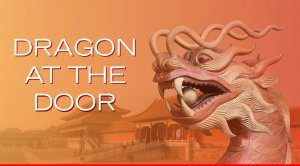 If we reject the China model, and we certainly should, then allowing Aecon to be folded into a Chinese SOE would represent a total loss to Canada. This loss is directly linked to our security concerns. National security is often narrowly linked to possible loss of our technological edge and infiltration of our defence and security infrastructure and industry. In the pending CCCI-Aecon deal, these two aspects could be specified as the loss of Aecon’s technical expertise to China and possible future harm to our nation’s infrastructure – both of which should be a concern. It is a myth that Canadians are in dire need for foreign direct investment. But national security is much broader than that. It’s about how we define the security system required for protecting our way of life. The lessons from one country come to mind: Australia. Canberra opened its doors to FDI from Chinese SOEs, and was able to dodge the global financial crises thanks to the commodity boom unleashed by the Chinese government’s $600 billion stimulus program. But what happened since then? Not only did the commodity bubble burst, but Australians have also awakened to China’s meddling in every aspect of their lives. As their domestic intelligence chief Duncan Lewis has warned, foreign interference in Australia represents “a threat to our sovereignty, the integrity of our national institutions, and the exercise of our citizens' rights." Let’s hope that our government will indeed examine the CCCI-Aecon deal “very carefully,” not only in light of the Investment Canada Act but also by taking lessons from the Australian government’s experiences with China. Protecting the integrity of our economic and political systems is too important to be overweighed by whatever financial premium offered by any Chinese SOEs to a few Canadian shareholders. Duanjie Chen is an independent scholar. Previously, she was a Research Fellow at the School of Policy Studies, University of Calgary and Research Associate and Associate Director with the International Tax Program at the Rotman School of Management, University of Toronto. The author would like to thank RWR Advisory Group for providing information on CCCC and CCCI.